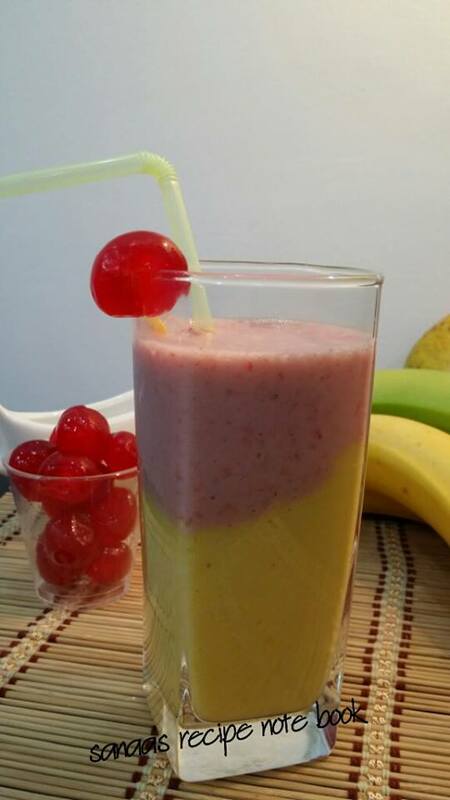 Blend well chopped mango, ¾ cup yoghurt, ¾ tbsp lemon juice, 1 tbsp sugar and 1 tbsp honey. Fill this into two long glass (half). Rinse the blender and add the remaining ingredients to it (strawberries, banana, ½ cup yoghurt, ¾ tbsp lemon juice, 1 tbsp sugar and 1 tbsp honey). Blend it well and pour it slowly over mango smoothie layer. Serve.